From American Book Award—winning author Ana Castillo comes a suspenseful, moving new novel about a sensuous, smart, and fiercely independent woman. Eking out a living as a teacher’s aide in a small New Mexican border town, Tía Regina is also raising her teenage nephew, Gabo, a hardworking boy who has entered the country illegally and aspires to the priesthood. When Gabo’s father, Rafa, disappears while crossing over from Mexico, Regina fears the worst. After several days of waiting and an ominous phone call from a woman who may be connected to a smuggling ring, Regina and Gabo resolve to find Rafa. Help arrives in the form of Miguel, an amorous, recently divorced history teacher; Miguel’s gregarious abuelo Milton; a couple of Gabo’s gangbanger classmates; and a priest of wayward faith. Between the ruthless “coyotes” who exploit Mexicans while smuggling them to America and the border officials who are out to arrest and deport the illegal immigrants, looming threat is a constant companion on the journey. 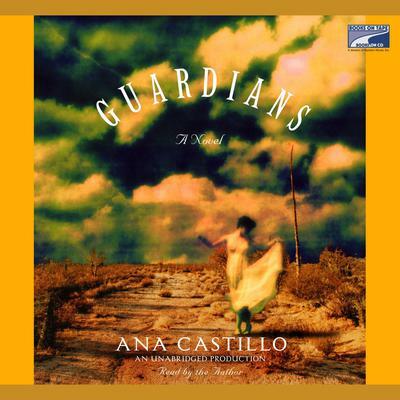 Ana Castillo brilliantly evokes the beautiful, stark desert landscape and creates vivid characters with strong voices and resilient hearts. The Guardians serves as a remarkable testament to enduring faith, family bonds, cultural pride, and the human experience.